Trains on the East Midlands mainline to London will be able to hit a top speed of 125 mph (200kph) as a result of track work, train officials said. The £70m upgrade on 160 miles of track means the fastest journey from Nottingham to London will be reduced by eight minutes to 91 minutes. 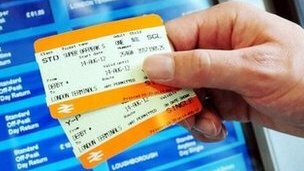 The fastest train from Sheffield to London will take two hours. The 125mph top speed will be possible on a total of 56 miles of the track on the route. The work by has been carried out by Network Rail and East Midlands Trains. 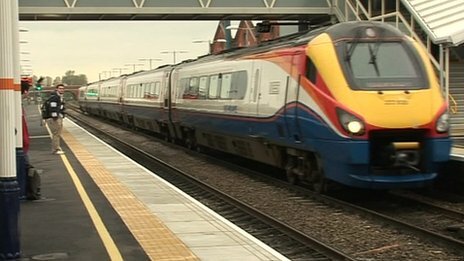 East Midlands Trains spokesman Phil Micklethwaite said: "The speed increases will have no impact on fares - either now or going forward. "The fares that change in January have nothing to do with line speed improvements - fares will go up at the inflation rate as per the rest of the country. " The previous top speed on the track was 110mph (177kph), an East Midlands Train spokesman said. One train passenger in Nottingham told BBC News overcrowding was still a problem on the route, adding: "I would rather have a seat than get there a few minutes earlier." But Mr Micklethwaite said: "We have an allocation of trains and we use them to the best capability we have got to match demand… we are working with the Department of Transport to make sure we get more trains for this part of the world… when they are available."